Vivid rainbows from just about any angle. Record keepers. NINTH and 7h faced crystals. Devic veils, a self-healing base. Penetrating [and therefore penetrated] points. 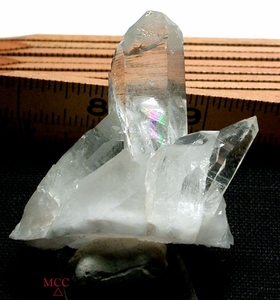 A Dauphine twin crystal with TWO, layered Isis faces as one - couldn't get in there with the camera, you will see it as the right-most crystal in the first picture. 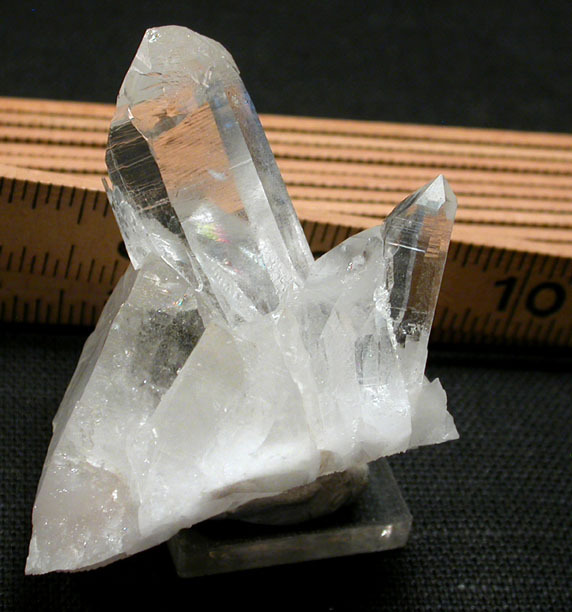 Arkansas rock crystal cluster, 1-1/2x 2-5/8x 2-3/8" tall. Small cabinet size from Montgomery County, no damage and much more for you to inspect!